We're thrilled to introduce the newest member of our product family: Rustic Rough Sawn Shiplap. Although we love all of our products equally, our new Rustic Rough Sawn Shiplap is exceptional. What makes it so special, you ask? 7% more coverage than the competition, that's what. Just like our traditional Rustic Collection Shiplap, our new Rustic Rough Sawn Shiplap boards are made from solid pine boards, sustainably grown in the USA and manufactured in a carbon neutral facility. They're individually hewn with a shiplap pattern or square edge finishing to ensure professional-looking, yet quick to install, naturally unique planks. We've got you covered. Inspired by the ancestral homes of America past, our Rustic Rough Sawn boards come in four classic colors: Brown, Charcoal, Pewter, and White. No matter your style, we've got a finish that you're going to love. Our Rustic Rough Sawn products are available in true shiplap pattern or square edge boards. Since each piece is made from solid wood, its beautifully unique details make a statement in a classically styled way. Our solid Southern Yellow Pine boards have been individually finished to be naturally textured. Each of our Rustic Rough Sawn boards have been distressed to get the look of reclaimed wood with an even surface. With 7% more coverage than the competition, we've got you covered. Available at select Lowe's Home Improvement stores and on Lowes.com, each one of our Rustic Rough Sawn Shiplap planks covers 3.42 square feet and are 5 3/8" x 5/8" x 8' in dimension, while each of our Square Edge boards covers 2.33 square feet and are 3 5/8" x 5/8" x 8' in dimension. 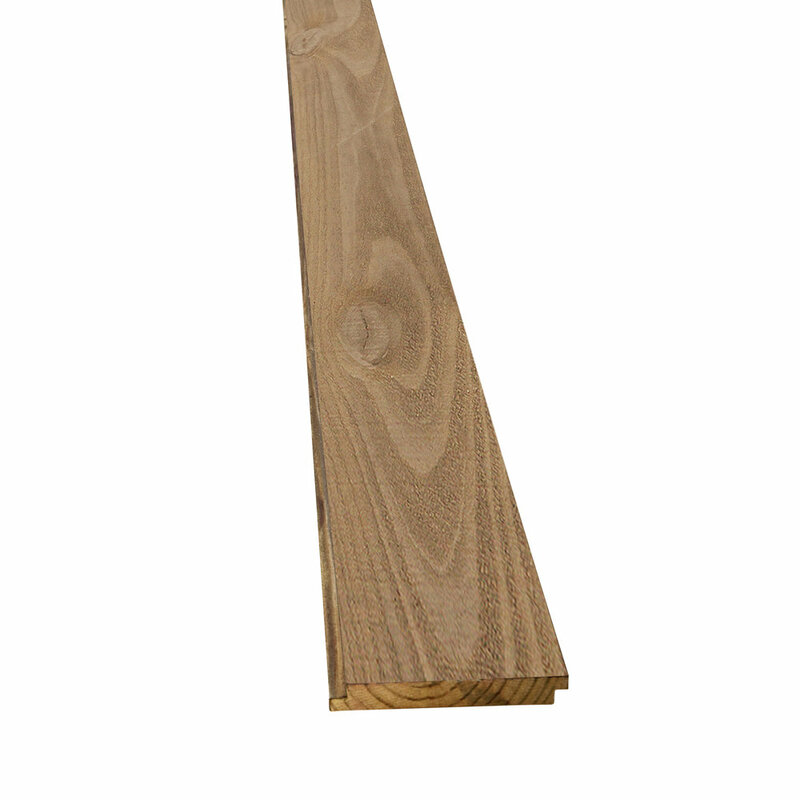 Because our Shiplap and Square Edge boards are delivered distressed and pre-finished for you, there's no on-site sanding, staining, or sealing needed. We've taken the hard work out of creating a timelessly beautiful shiplap, so that all you've got to do is install and enjoy.